This holiday season, you can't forget about the musician on your list! AirTurn has all kinds of great gift ideas that he or she is certain to love. At AirTurn you will find a variety of musical gear including: Bluetooth Pedals, Handheld Remotes, Holders and Stands, Pedals for PC, Books and Software and Musical Accessories. 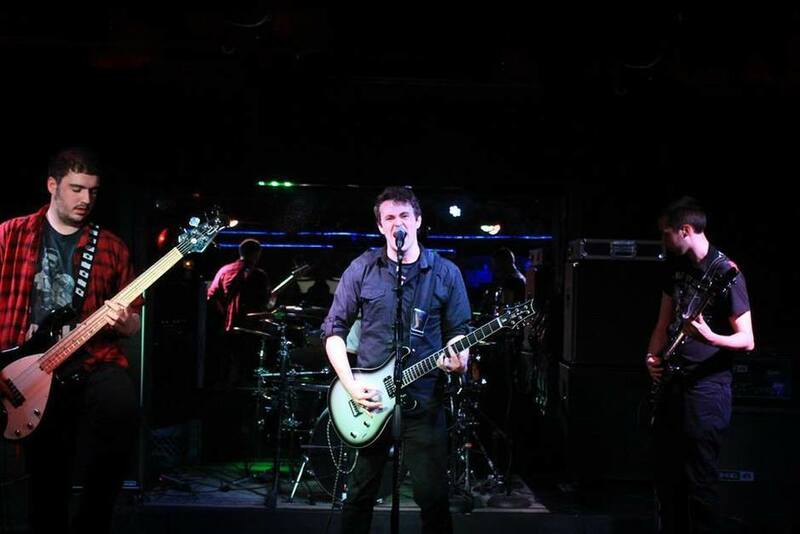 My oldest son, Jonathan is the lead singer and guitarist in his band, Harken. I know nothing about the music industry, and so buying gifts that Jonathan would like is not very easy. I knew he wanted a new mic stand, and so I was browsing online and I came across the AirTurn website. I was immediately impressed at how easy it was to find just what my son was asking for. I selected a goSTAND Portable Mic and Tablet Stand with Boom for Jonathan. (With his approval, of course, since I actually had to have him pick out what he needed.) And, yes, Jonathan did receive his Christmas gift a little early, but I couldn't wait! Plus, he has a gig coming up very soon. Every mobile musician needs a mic or tablet stand that is easy to carry around in a backpack and set up at a moment's notice. Less than 18” (453mm) when fully folded--fits in most back packs and carry-ons. 58” (1475mm) fully extended - weighs 2.6 lbs (1.25kg). 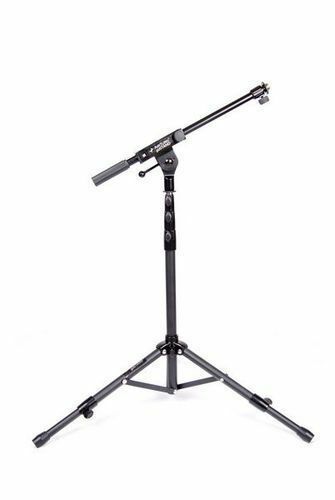 Extended legs create the same footprint as most mic stands keeping your load secure. The only stand that can be set for uneven surfaces and different base circumferences. Works with all AirTurn tablet mounting systems. Collapsible boom and side mount clamp are also available. I couldn't believe how fast this mic stand was shipped after we placed our order. We received it in about two days! 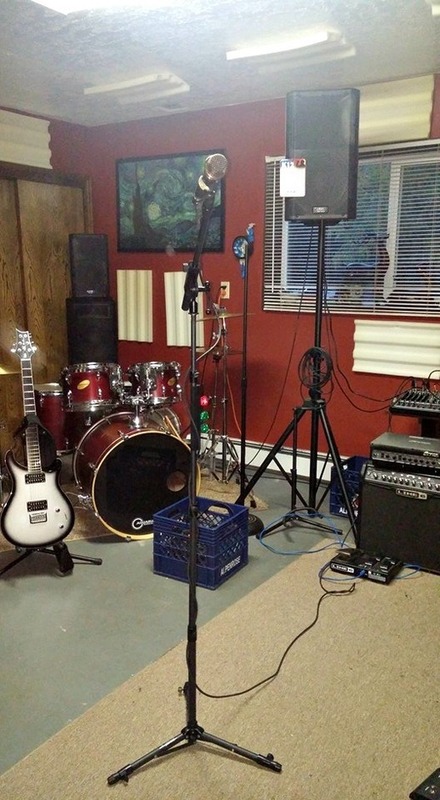 Jonathan got it all set up in his band room and it looks great! Better yet, Jonathan loves using his goSTAND and Boom. He says it is so much better than his old mic stand because he always had to lean in pretty far to sing. 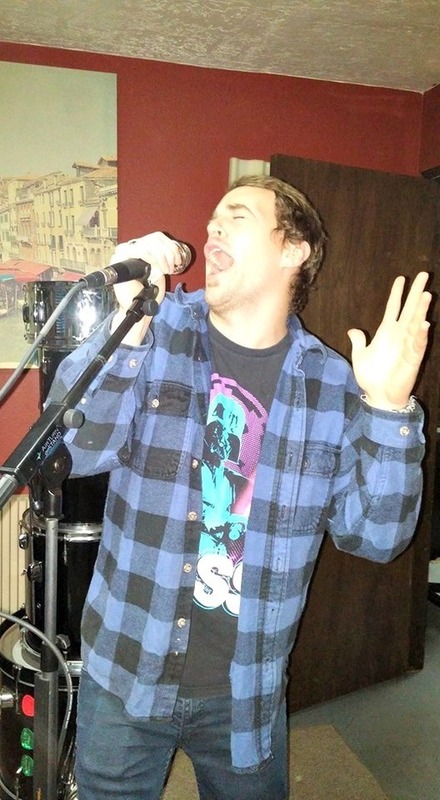 With the goSTAND and Boom, the mic reaches his mouth and makes it easier for him to play his guitar without having the mic stand get in the way.